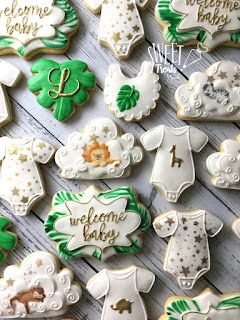 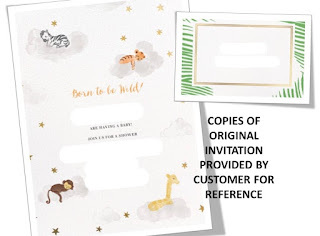 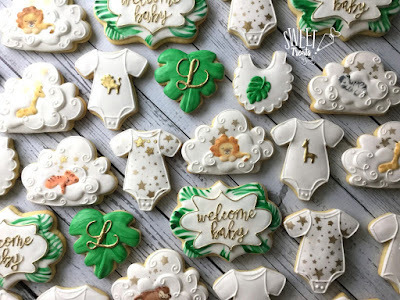 These sleepy safari animal baby cookies were designed using the baby shower invitation provided as inspiration. 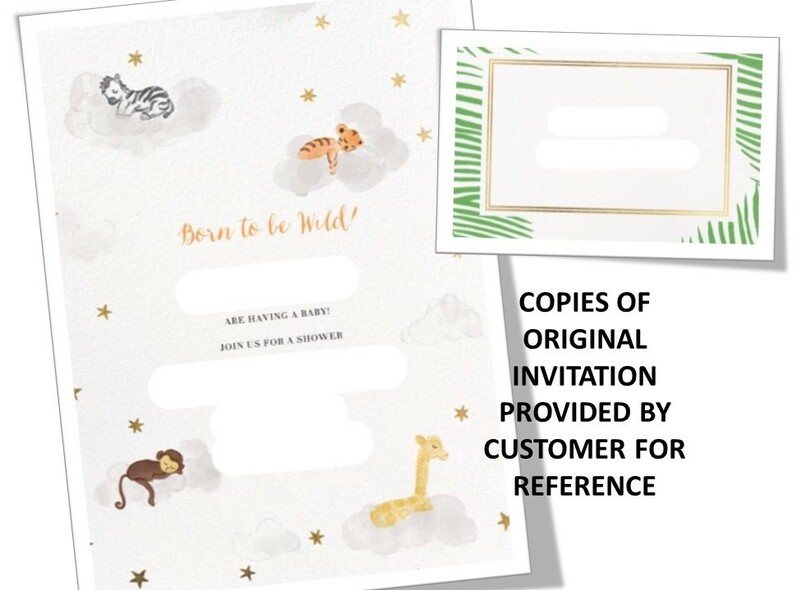 I was asked to add lions to the mix. 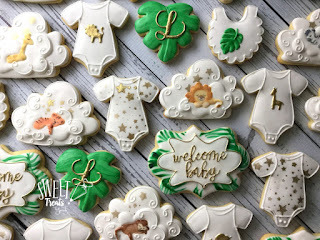 The baby animals are hand painted using Americolor gel food coloring.